Hallo Hr. Germany! Can you tell us about your childhood memories? I wonder how were you as a child. Hm.. Vhelll, I don't remember that much of my childhood... it was so long ago! But I suppose it was like any childhood... At times I was very naughty and tended to do things I wasn't supposed to and generally got into much trouble.... But, I wasn't a bad kid. 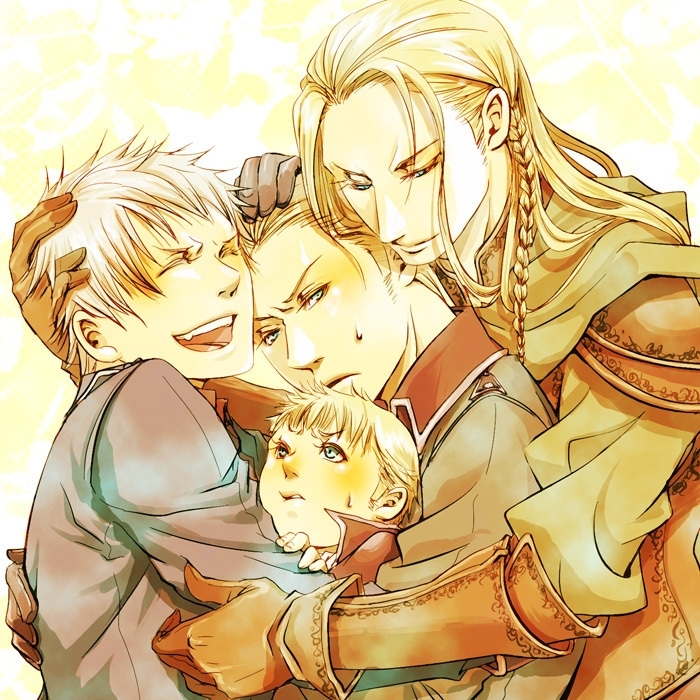 Growing up with Prussia was... Tolerable. Overall, I turned out okay. Hi Germary! I wanna know something....have you ever done the lemonade challange? The lemonade challage concerns drinking lemonade with alot of suger for 20 seconds and if you throw it back up you are force to do it again. ^^"
Germany! I challenge you to a beer drinking contest. vill you accept this challenge? 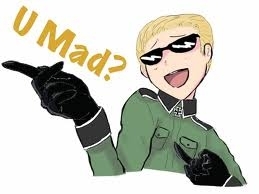 @Germany_APH : ".....At times I was very naughty and tended to do things I wasn't supposed to and generally got into much trouble...."
Hola Germany-san~! I apologize if this is too personal and you don't have to answer if it is as I was just curious... Anyways, what is your favorite memory with Italy and Japan? @Pastachick Hmm... I would, but Tinekraut has a point zhere... Perhaps not. Anozher time, maybe? @Tinekraut hmm... Lemme think... Vhell, zhere vhas zhat one time where I went on someone else's land... (It was long ago... I cannot remember who's land it vhas.. 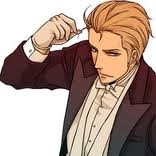 I vhas very young... ) When I wasn't supposed to... And I got in trouble with Rome. .___. @Animelover1220 Mm? Freund! Vhy would he be anything more....? But.. *sigh* He is very special to me... *blush* He vhas mein first freund. hey Germany I was wondering.... what type of stuff are you into ( remembering the chrismas episode where you got dirty books).... your not a pervert are you??? @crimsonchick123 O__O Nein. I do not love mein bruder zhat vhay. But I suppose I COULD say I love him as a bruder... Und.... Er... About Italy... I would never kiss him. Unless, it was zhat Italian greeting thing... So I suppose I vhould rather kiss Italy..
ok, thanks also do you like cheese? @crimsonchick123 *shrug* It's alright... I get zhem alot. .___. What a strange video... I really don't know... The song is alright, zhough... 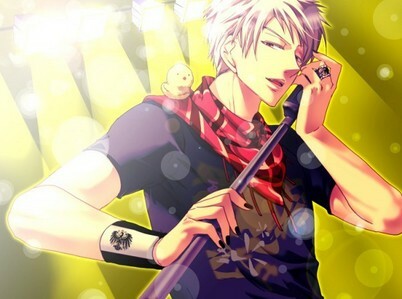 He dances a hell lot better zhan I do... Still strange... very strange..
@mintybunny123 Cheese? It's pretty good... I like it with some wurst. I like butterkäse just fine. Cheesecake isn't so bad either. Ja, I suppose I like cheese. Pryvit, Mr. Germany! Jak sia majete? Anyways, I... 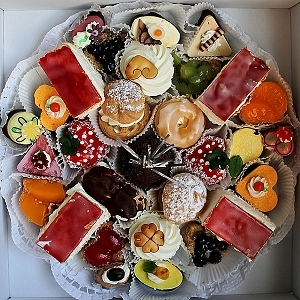 I was wondering, what is your favorite dessert from your country? doitsu!!! doistu!!! whats ur favourite kind of wurst???? @Animelover1220 Huh? Er, no clue actually.... I've never really thought about zhat... It's hard to image zhem blind drunk and having an intellectual conversation at zhe same time. It's impossible. I guess it'd be slightly amusing to hear them talk about something other than pasta or food. Maybe trainging...? I'd record the event. @Cerdudays vhait.. what? Er... I don't know... Is zhis a trick question? I've heard somebody say zhis before... but... Nevermind. @Canadamaple5 Not sure... Zhey're all amazing und it's hard to choose. But I love Bockwurst. All wurst is good. How do you think of the Netherlands?? @yoki96 *laugh* Hallo! Zhat is actually pretty good... I'm not particularily fond of him. He's.... Okay.... I guess. He doesn't like me, zhat I know... Und he could stand to stop bullying Feliciano. @Difoxx Netherlands? Vhell... Zhey're alright, I suppose... What's to hate? How do you feel about Romano? I know he is kind of on your bad side since he didn't make a very good first impression. @demigod324 .___. A little, Ja... I should feed you my wurst sometime. I Vhonder if your parents vhould mind a random German feeding you a delicous delicacy? Hallo, Germany. Vhat is it that you've been doing that you're too busy to come to Fanpop? 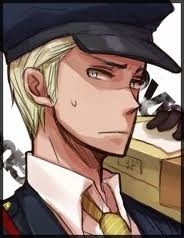 I was wondering, what's it like having Prussia living in your basement? 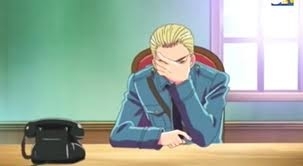 @PastaChick *sigh* I know I've been busy, mein freund... My deepest apologies. I'm busy as a dedicated country. It's not just training anymore... Vhat is a dedicated man to do but his best? Hey, It's been a while now. But back to questions, what kind of sweets do you make? Ciao, Germany! How is my bestest buddy in the whole wide world? Hey, what kind of sauce should I use on my pasta, pesto or pomodoro? It's super important, so answer as fast as you can! Grazie! @TineKraut erm, to telll you zhe truth I don't remember mein own birthday... Or rather, what I did. I think I might've gotten drunk....? I did have a massive headache in the morning. @yoki96 Danke. BP Und, me? Different things... I like making cake, every now and again. Bremer Klaben, I suppose is candy... It's a sort of bread made with dried fruit. This is Bunter Teller; I like to make it around Christmas time. America? hm... I don't know. He needs to take things more seriously, und he should lay off the junk food or he'll hurt himself. But He's a good man. I don't hate him, or anything. I feel honored to have fought against him, once... But I wish to not do so again. 3) Knives... Are fine. They're very useful for many things; I suppose I like them. Oh, AND, do you like Marzipan? Mein Vater? Ja... I don't remember him, I'm afraid. v__v I vhas very young vhen he died. So I'm not sure... I'm told he loved us and vhas a great warrior. I'm glad of that. 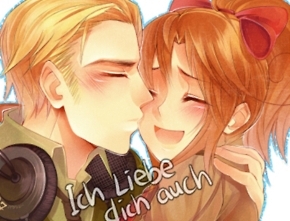 @germany/would you kiss italy if you wanted to? My qoestion is, if you could have a better relationship/be allies with one nation who would it be and why?